Who’s the biggest star in Hollywood? No, it’s not some lame brained actor. It’s the city of Los Angeles itself, that’s who! And filmmaker Charles Doran is once again honoring this multi-faceted metropolis with the second annual Los Angeles as a Character short film festival, which will run on Nov. 14. I can tell you from personal experience that this is one helluva fun event. You can read my review of last year’s films here. The event was held — and will be again — at the awesome Echo Park Film Center and I went last year. For it, Doran curated an amazing lineup of diverse films. I’ve lived in L.A. for seven years now and I love just how big and diverse it can really be, which Doran really captured through his selection. I’m really looking forward to going again this year. 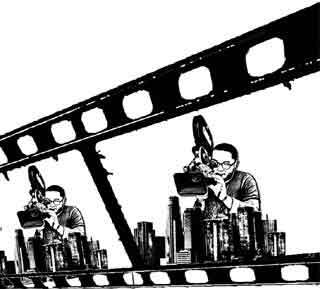 Films can be submitted on DVD, VHS or MiniDV, but selected films can screen in 16mm, Super 8mm, MiniDV or DVD. For the full submission guidelines and entry form, please visit the official Los Angeles as a Character website. Then, submit, or if you’re not submitting, just go to the event on Nov. 14. It’ll be a blast. Guaranteed.